Author Interview: Domenica Ruta, Author Of 'With Or Without You' Domenica Ruta grew up in a working-class Massachusetts town with a mother who dreamed big — but also bashed in windshields with a baseball bat and hung around with drug dealers. 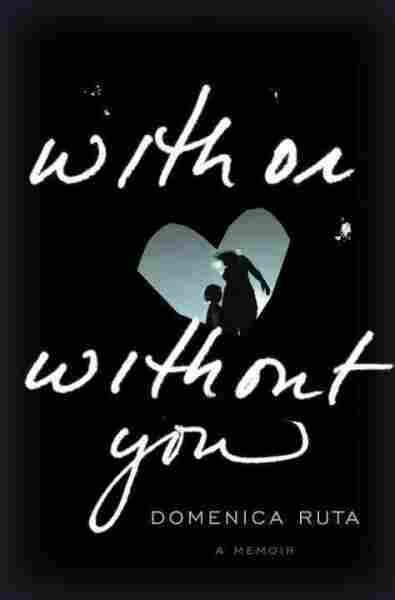 Her new memoir, With or Without You, is a harrowing but beautifully written account of her life with — and her efforts to break away from — her mother. Open the cover of Domenica Ruta's new memoir, With or Without You, and you'll find a quotation from Kurt Vonnegut: "You were sick, but now you're well, and there's work to do." His quotation foreshadows the woman at the end of this memoir — the one who emerges after a couple-hundred beautifully written, harrowing pages. Domenica Ruta, or Nikki, as she goes by in the book, is an addict, alcoholic and occasional drug user, but perhaps the most complicated and toxic part of her addiction is the relationship she has with her mother — a bleached and tattooed brawler who believed it was more important to be interesting than good, who did and occasionally dealt drugs, and who allowed her daughter to stay home from school whenever a good movie was on. Ruta tells NPR's Rachel Martin that she didn't realize the extent of her mother's drug problem until she was in her teens. "That's when I found out she was doing heroin," Ruta says. "Before that, she'd had this brief period of sobriety in which she was going to Harvard extension school, she had aspirations to maybe become a psychiatrist ... she had big dreams, and she was working really hard, she worked as a manicurist, and so I sort of fell into this dream that my mom and I were both movin' on up." There was trouble lurking in the background: Ruta's mother had been using, and hanging around with her dealer friends, for years. "But when you live in the jungle, you don't realize that tigers are a strange species," Ruta says. "These were the people in our lives ... and it didn't occur to me to judge them. ... They were the people at the kitchen table, they were people sitting on the porch, they were people smoking cigarettes on our front steps, and I didn't know there was something wrong with that." But Ruta's mother had big dreams for her daughter, who made good grades in high school. Ruta eventually transferred to an elite boarding school in a much richer town nearby. "It was the most harrowing and wonderful and magical and terrible time in my life," she says of those years just after she left home. "I'll never forget that first night in the dorm. I went to Phillips Academy in Andover, and I got in on a scholarship, and my mother saw to it ... the first night in the dorm, lying in my little twin bed in my little dorm room with the eaves overlooking this beautiful prep school quad, where former presidents once looked out this window, and being just so desperately afraid and sad that my mother wasn't down the hall, but then having this strong sense in my heart that I had to make it work." Domenica Ruta was born and raised in Danvers, Mass. 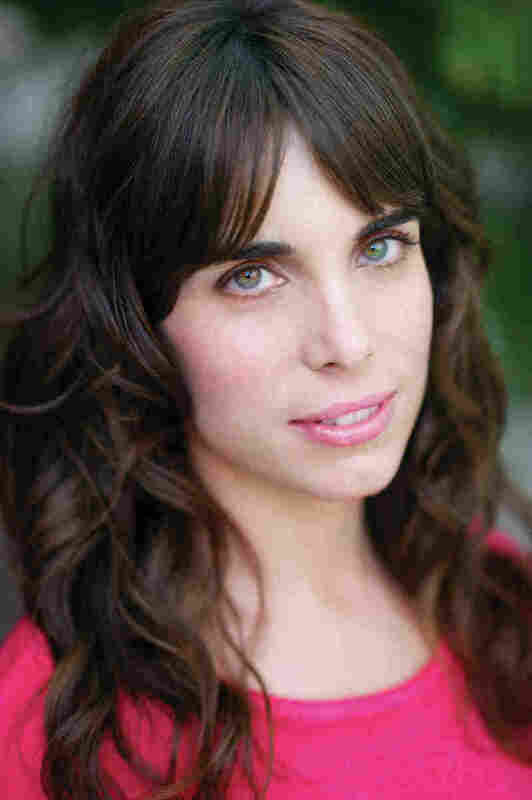 She is a graduate of Oberlin College and holds a Master of Fine Arts from the Michener Center for Writers at the University of Texas, Austin. As a little girl, growing up in a blue-collar town, Ruta says, she wanted to do things like free Nelson Mandela and change the world, or maybe be a doctor or a lawyer. "Anything that mattered, and I didn't really know what that meant," she recalls. "I didn't have many models or templates that I could follow." But in high school, she began to develop a drinking problem as she dealt with the stresses of her first romantic relationship. "I felt like, oh, this is how everybody else gets through life," she says. "The things that I find so terrifying are no longer terrifying when I have this drink." Ruta says she spent 14 or 15 years as a high-functioning alcoholic, able to get her work done and survive academically and professionally, "but I needed a couple of drinks beforehand." Beating her addictions and changing her relationship with her mother were "two separate epiphanies," Ruta says, but one led to the other. She was living in Texas and still a heavy drinker when she decided to cut off contact with her mother. "She was still in my head, of course, and in my heart, but she was no longer this person I talked to on the phone anymore, she was no longer this person I visited, and I shut her out of my life as though she had died, and lived like that for a couple of years." And that, Ruta says, led to a revelation: "She's not the reason I drink. She's not pouring my drinks. I am." "She would give me Percocets and Oxycontins, and she would put a nickel bag of pot in my Christmas stocking and write, 'Love, Santa' on it, and she would give me drugs — but she hated, she abhorred alcoholism and alcohol. She couldn't drink," Ruta continues. "And it was a great rebellion on my part, and almost an offense to her, that I became an alcoholic." Cutting off contact with her mother was liberating but terrifying, Ruta says. Her mother bombarded her with weeping, histrionic voice mails, which she dutifully listened to for about six months, until deciding to change her phone number. "And the night after I had my phone number changed, I had this dream," she says. "It was a very Faulknerlike dream, where my mother was dead, and she was wrapped in this brown wool blanket, and I wouldn't touch her ... but I was directing the EMTs to be very careful with her body, loading her into an ambulance, and then I drove this great Mack truck, with this — you know, it was sort of As I Lay Dying, with my mother's dead body behind me, and I felt like I was flying." Ruta has now been sober for almost four years and hasn't spoken to her mother for almost seven. "I would like to one day," she says, "and I'm working toward that."